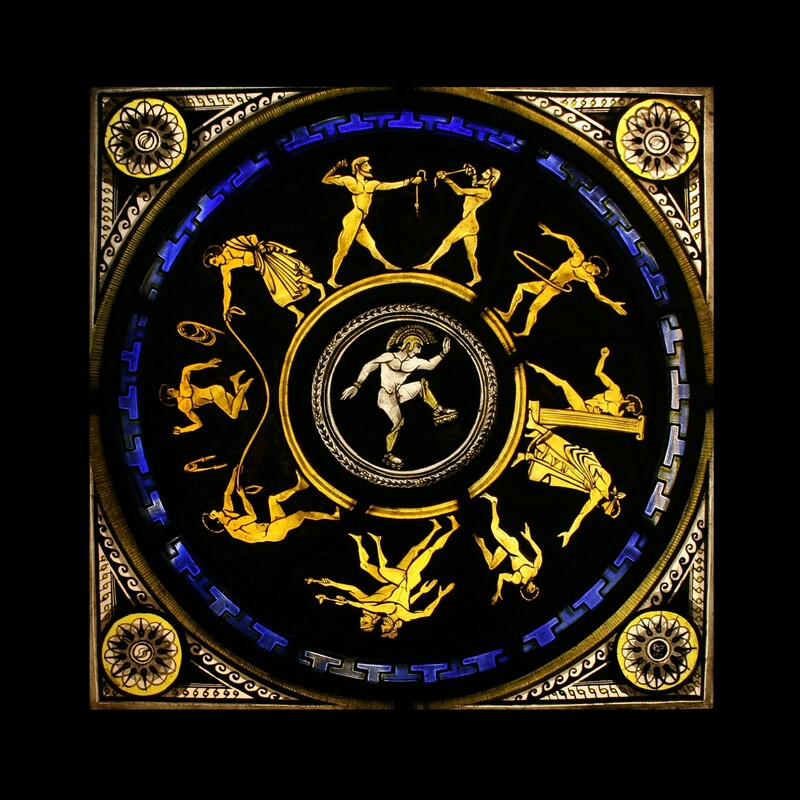 This panel was exhibited as part of the ‘Games’ exhibition run jointly in 2012 by the Swansea School of Glass and the British Society of Master Glass Painters. It was selected shown alongside about 50 other panels at the National Waterfront Museum in Swansea. ‘Games of Old’ 2012 Roller skating champion!